Local market farmer selling vegetables produce on his stall with awning. Modern flat style realistic vector illustration isolated on white background. Stand for selling fruit and vegetables. Local market farmer selling vegetables produce. Farmer food stall line icon concept. 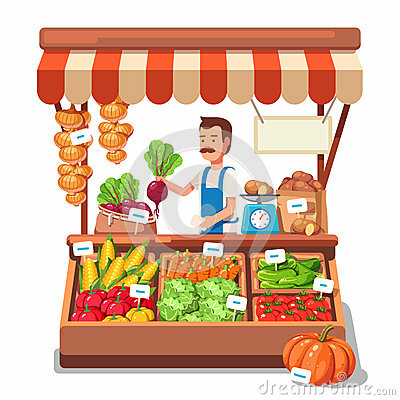 Farmer food stall flat vector symbol, sign, outline illustration.